IBM is providing cloud computing expertise to one hundred Egyptian software companies to help drive innovation and new cloud development skills. This is part of a collaborative agreement with the Egyptian Information Technology Industry Development Agency (ITIDA), in which IBM will offer its expertise to the ISVs with the aim of boosting Egypt’s efforts to become a center of cloud computing excellence in the region. While current spending on public cloud services in the country is lower than its regional peers, Egypt has been represented as a growing market across the Middle East and Africa, with 67% growth expected for 2014 alone, according to IDC. The agreement is in line with ITIDA’s strategy to provide support for small and medium IT companies to be able to expand their offerings to new markets and help grow the Egyptian economy based on the proliferation of technology trends such as big data. As data is the life of every organisation, businesses are challenged with using it to gain insights and transform with speed. IBM Cloud is enabling clients to harness all available data and apply the full power of analytics on a massive scale, privately and securely. The first 20 companies to benefit from this collaboration were announced at a ceremony in Cairo. IBM Cloud-enabled access will essentially help these companies develop their information technology solutions by enabling the creation and testing of cloud solutions in a faster and more cost-effective way. The ISVs will provide their solutions on the cloud, reaching a wider audience of clients and users with minimal capital expenditure. ITIDA will choose the remaining ISVs in groups of twenty, every three months. 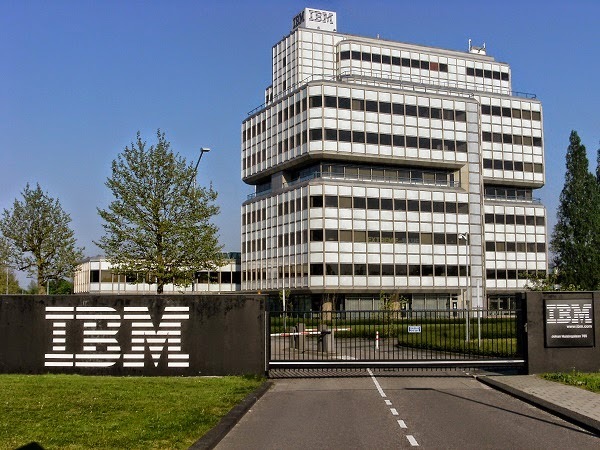 As part of the agreement, IBM will also educate and train the participating Software developers on how to develop and port their solutions to different IBM cloud computing platforms such as SoftLayer infrastructure and Bluemix. Bluemix is IBM’s development environment built on SoftLayer to help developers integrate applications and speed deployment of new cloud services, learn new development skills, and access IBM’s developer ecosystem to drive cloud innovation. Using an open cloud environment, Bluemix helps both born-on-the-web and enterprise developers build applications with their choice of tools. With the ability to easily combine a variety of services and APIs from across the industry to compose, test and scale custom applications, developers will be able to cut deployment time from months to minutes. New applications and cloud services ISVs developed on Bluemix can give Egyptian ISVs the opportunity to expand their business globally by offering their innovations on the IBM Cloud Marketplace. “The IBM initiative is an important step towards stimulating the growth of cloud computing applications, expertise, knowhow, promoting the culture, and use of “Applications as a Service (AAS)” in the market, particularly in the Middle East and Africa,” said Hussein El Gereitly, CEO of ITIDA. As part of the agreement, IBM will help deepen the technical and business expertise of the ISVs through a series of workshops and mentoring. “This project is part of our ongoing commitment to the local market. It will enable these companies to grow without large capital costs. This is a real bonus for Egypt’s fast-growing entrepreneurial clusters, which often lack funding or physical IT infrastructure,” said Amr Talaat, Country General Manager, IBM Egypt. These programs are examples of a set of investments that IBM is making to support IT skills development in Africa. Earlier this year, IBM announced several IT knowledge-building initiatives across the continent to enable the existing and future workforce to develop new analytics, cloud and data skills crucial to the continent’s economic growth and social development. IBM also announced a $100 million investment to bring Watson and other cognitive systems to Africa to fuel development across the continent in an ambitious 10 year project. In 2013, the company opened the doors of its first African Research Laboratory, which is conducting research into the grand challenges of the African continent, drawing insight from vast amounts of data to find solutions to Africa’s most pressing challenges such as energy, water, transportation, agriculture and healthcare.